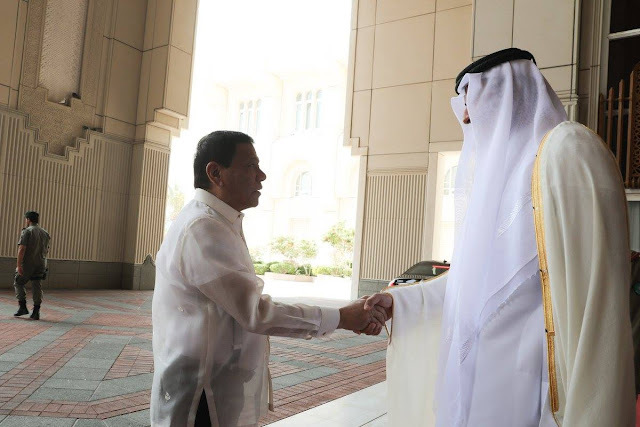 MANAMA, BAHRAIN, April 15 (PNA) -- Presidential Spokesperson Ernesto Abella on Friday described as "extraordinarily warm" the reception President Rodrigo Duterte is getting from the Filipino communities in the Gulf States. 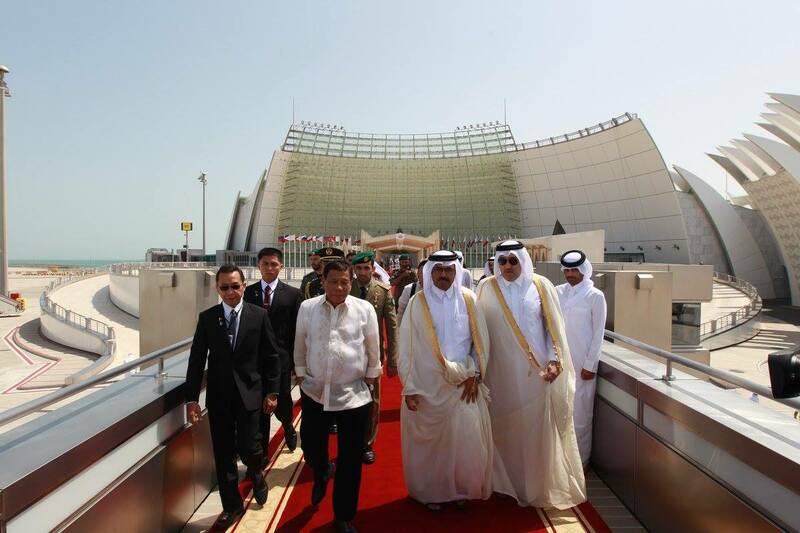 "The President is on his second leg of state visits to GCC (Gulf Cooperation Council) countries. The reception has been extraordinarily warm, built upon the decades-long presence of Filipino overseas workers," the President's spokesperson said in a press briefing. "These have been very moving days, and the closest one can describe is a father meeting with his children and extended family." He underscored that Filipinos abroad now feel they have a President and a government who prioritizes their needs and ensures that they are being recognized in the national life and conversation. Many of these overseas Filipino workers (OFWs), Abella said, work as nannies for the children of the rich and powerful in the region as many have been touched by the caring heart of the Filipino. These present leaders, he continued, speak lovingly and admiringly of Filipinos as a whole. They likewise expressed 'deep admiration' for the Philippine President, especially in his campaign to restore trust in the government. "Through his campaign against illegal drug traffickers and violators; providing market and employment opportunities so that all, especially the poor, can achieve their dreams for a better life; also, for engaging rebel groups to agree on common values and structures for a nation whose first and foremost priorities are the common good and national interest," Abella explained. "In all, one discerns that he is bringing the Filipino to a place of self-worth, self-rule and self-support." Meanwhile, the President, on the second day of his state visit to Bahrain, witnessed the signing of key agreements, attended to a number of courtesy calls, and presided over some private meetings. Just recently, President Duterte graced the signing of a memorandum of understanding between AMA Group Holdings Corp. and Nader & Ebrahim Sons of Hassan Company, where the parties agreed to expand their operation in Mindanao by targeting an additional 10,000 hectares of land for agricultural production. "Iyong (The) USD250 million investment signed last night (April 13) between the AMA Group and the Nader & Ebrahim Sons will create at first 3,500 jobs. But once fully operational in three to five years, they are looking at 40,000 jobs," Trade Secretary Ramon Lopez announced. On the other hand, Foreign Affairs Acting Secretary Enrique Manalo said the government recognized the significance of enhancing and strengthening the bond of partnership between Bahrain and the Philippines and their people. "The general thrust of the discussion was on basically three broad topics... the contribution made by the Filipinos here in the Kingdom and the acknowledgement of the Kingdom of Bahrain of that contribution, and the fact that we have a very strong people-to-people connection," Manalo added, referring to the President's private meetings with Bahraini officials. ACTS-OFW partylist representative Congressman Aniceto Bertiz III, on the other hand, disclosed that the government is not only focusing on OFWs' deployment but on their "reintegration" as well. "(That's) the reason why we are involving the different secretaries and agencies, especially the DTI (Department of Trade and Industry), which is the Negosyo Center under Secretary Lopez, as well as the huge project that our government is signing, so example of that are the railroads and superhighways that we are building," Bertiz said. "The President is very conscious of the social implication of our countrywomen and countrymen going abroad to look for jobs," Labor Secretary Silvestre Bello III added. The labor chief, thus, announced that the President will be bringing with him some 400 undocumented OFWs who availed of the Saudi government amnesty program when he returns home from his state visits. Bello also disclosed the result of his meeting with the Bahraini assistant secretary of labor where he vowed to shorten the processing of papers by OFWs from six weeks to one week.